The latest neuroscience and positive psychology research shows that success and outstanding performance are within everyone’s grasp because talent and leadership ability can actually grow! Sadly, most of us are not aware of this. We are prone to limiting ourselves and those we work with. As a result our brains become wired to react the same old way – day in, day out. Our mindset becomes ‘fixed’. How many times have you heard ‘attitude is everything’, but however hard you try you can’t change your thinking? Transform your mindset and harness the power so often seen in the world’s most successful people. The solution lies in your power to rewire your brain – you can literally change your brain structure to extinguish stress and light up your higher brain functions such as decision-making, creativity and influencing. This seminar will challenge you to unlock barriers and bring success, happiness and fulfilment throughout your workplace. 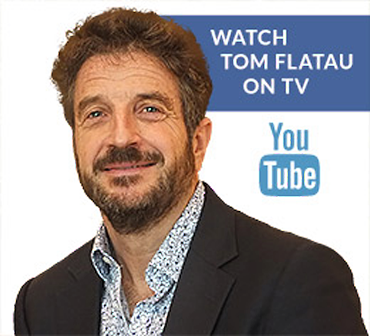 Tonight we are live with Tom Flatau for the latest 'Leaders of Change' group event, as he explores how you can use neuroscience to make you a better leader. Thanks for joining!